Constance Tippett was born in Ohio and is now living in Portland Oregon. She is an independent artist and scholar. When I first asked David Chandler to chart the lunar alignments at Serpent Mound, he was skeptical because he didn’t think the complex orbit of the moon could be computed by ancient people because the moon was so variable in it’s motions. But as we explored each question, it was as if the Mound opened up and revealed itself. After going over the data again and again to see if we had it correct, we realized the significance of the information. Although the moon was of interest to ancient people for a variety of reasons, knowing and measuring the human gestation cycle is one of the significant applications. Even though Serpent Mound was created hundreds of years ago, it could still, in principle, be used today. 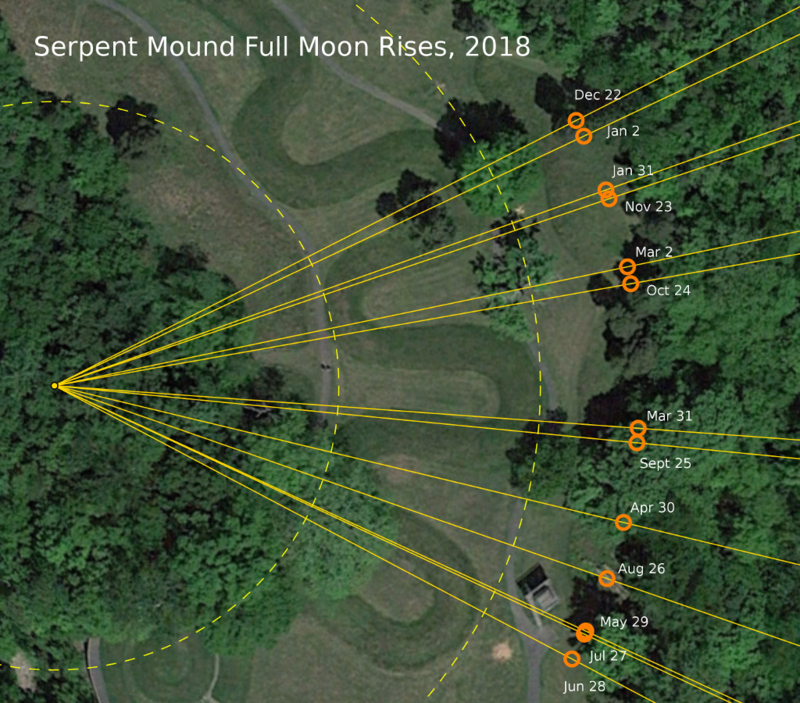 This year (2018) with the help of my sister and her daughter, I made a trip to Serpent Mound on the Full Moon closest to the summer solstice, to compare our computer data with the actual sky! It was incredible to experience Grandmother Moon appearing in the curve, watching over all of us, even Her European daughters. It was Dr. Mann’s book,“Iroquoian Women: Gantowisas” that gave me the idea to look into the lunar calculations from a women’s point of view. She even mentioned that she thought there might be some lunar significance found one day. So I followed her lead. It was an eye opening experience to read how the early Iroquoian women led their tribes. I then later learned that they also influenced the women’s suffrage movement in America. Elisabeth Cady Stanton, Matilda Gage, and Susan B. Anthony knew of the Iroquoian’s matriarchal society from the tribes around Seneca Falls, and these Gantowisas were one of their sources of inspiration. (1) I have recently met some incredible indigenous women who are reclaiming their traditional leadership responsibilities within their own tribes today. In 2018 the full moon nearest summer solstice is on June 28. We expect to avoid the crowds who will be there for the solstice but will miss the possibly more significant event. Note that the southern extreme for the full moon rises is less than average this year. Most of David’s astronomy computational experience was back in the DOS era, where all the computations were done from scratch. Today he uses Python for which there are excellent and easy to use ephemeris libraries. 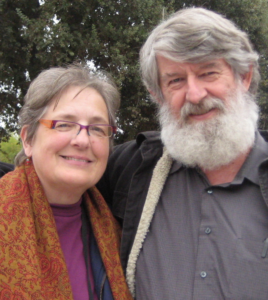 David, a Quaker, finds joy in applying his physics and mathematics background to the “quantitative aspects of social consciousness” for the betterment of society. For examples, see his graph and discussion of the US income distribution, his work on what really happened on 9/11/2001, and his efforts to broaden the scope of mathematics education. He considers himself a feminist in the sense that “women should be accorded equal status with men and share equally in their power to affect human events.” In that sense this Serpent Mound project might be seen as a form of raising social consciousness as well. Considerable time, research, labor, and investment went into this construction project that many would see today as a marginal woman’s issue. But we are seeing evidence here of an ancient society where concerns of pregnancy and child birth are treated not just as “women’s issues” but matters of concern for the welfare and survival of the whole tribe. It is a lesson we should learn today.